Diagnosing unclear lymph node (LN) enlargements in the mediastinum and abdomen is the most important indication of endoscopic ultrasound (EUS)-fine needle aspiration (FNA) after the diagnosis and treatment of pancreatic diseases. Investigating LNs in these areas can happen in different clinical settings. Mostly, it is the first modality in general LN diseases without any peripheral LN enlargements. On the other hand, it can be the question of LN involvement in a known or suspected primary tumor. Due to EUS-FNA cytology, those questions can be answered highly, accurately. However, a primary discrimination of LNs might be helpful to increase the diagnostic value of the FNA cytology, especially in cases with multiple LN enlargements and hard to reach enlarged LNs for example by vessel interposition. 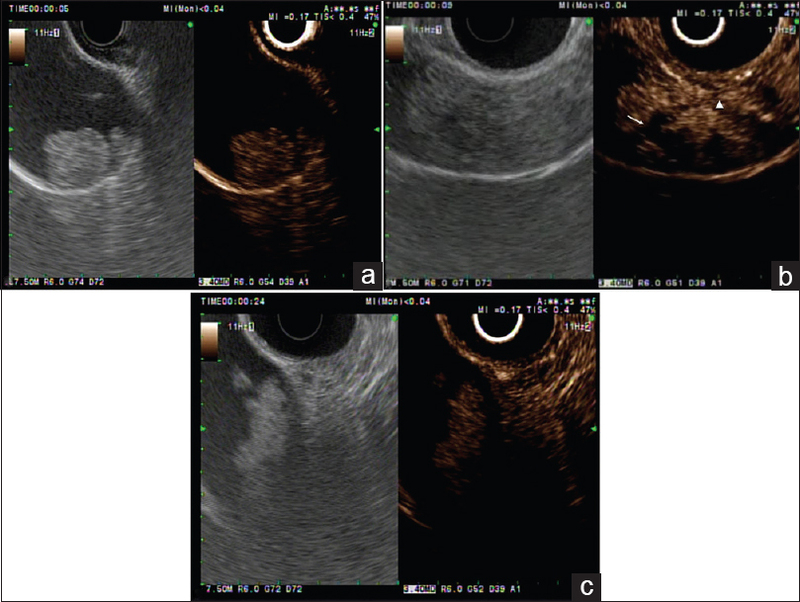 Because of the unreliability of B-mode criteria, further diagnostic improvements such as elastography and contrast-enhanced EUS are investigated to increase the accuracy of the initial diagnosis. 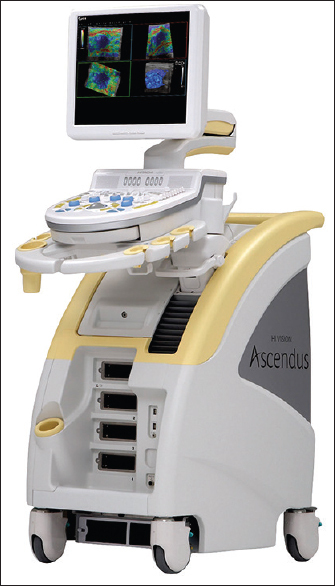 Dynamic contrast-enhanced ultrasound (DCE-US) has been recently standardized by guidelines and recommendations. The European Federation of Societies for US in Medicine and Biology position paper describes the use for DCE-US. 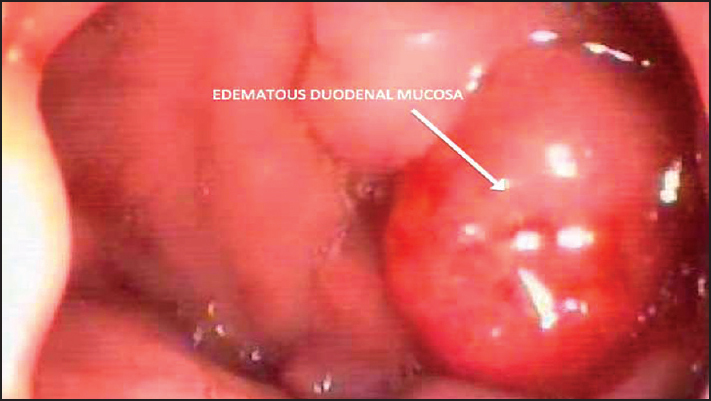 Comparatively, little is known about the use of contrast-enhanced endoscopic US (CE-EUS). This current paper reviews and discusses the clinical use of CE-EUS and DCE-US. The most important clinical use of DCE-US is the prediction of tumor response to new drugs against vascular angioneogenesis. 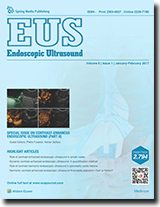 Over the last decade, the clinical applications of contrast-enhanced harmonic endoscopic ultrasound (CH-EUS) have increased steadily. The development of second-generation ultrasound contrast agents has allowed superior visualization of the microvasculature and tissue perfusion of the target lesion. This methodology has proven useful in the differential diagnosis of solid pancreatic masses and lymph nodes. In addition, the applicability of CH-EUS has expanded to nonpancreas structures such as biliary, focal liver lesions, and vascular disease. This article focuses primarily on the novel applications of CH-EUS in biliary tract and visceral vascular diseases. Incidental pancreatic cysts (PCs) are frequently encountered in the general population often in asymptomatic patients who undergo imaging tests to investigate unrelated conditions. The detection of a PC poses a significant clinical dilemma, as the differential diagnosis is quite broad ranging from benign to malignant conditions. Endoscopic ultrasound (EUS) with fine-needle aspiration (FNA) has been reported to be an accurate tool in the differential diagnosis; however, its sensitivity is suboptimal and false negative results do occur. 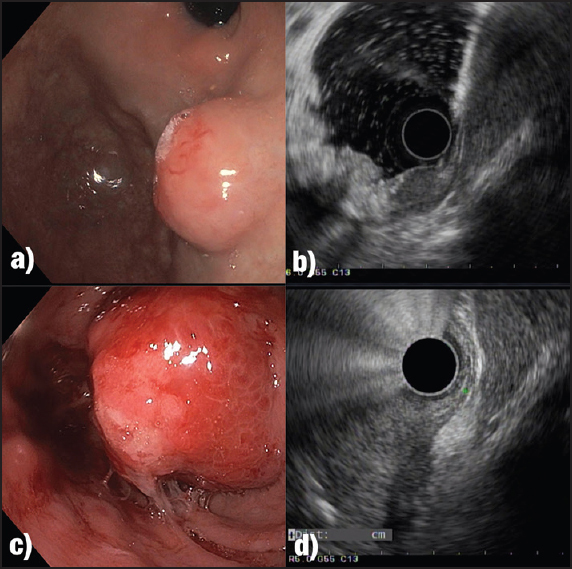 Contrast harmonic EUS (CH-EUS) was demonstrated to be a useful tool to investigate pancreatic solid lesions to differentiate between benign and malignant ones. In the setting of PCs, CH-EUS could help identify areas of malignant growth inside the cystic cavities. Several studies have reported promising results showing malignant areas in PCs as hyperenhanced lesions. Confirmation of malignancy can then be obtained by FNA, which should be precisely targeted according to the findings of the contrast harmonic study. The negative predictive value of endoscopic ultrasonography fine-needle aspiration is relatively low. To achieve the improvement of the diagnostic yield, the following were proposed: a higher number of passes, the presence of the rapid on-site cytopathologist evaluation, the fanning technique, or the repetition of the fine needle biopsy. 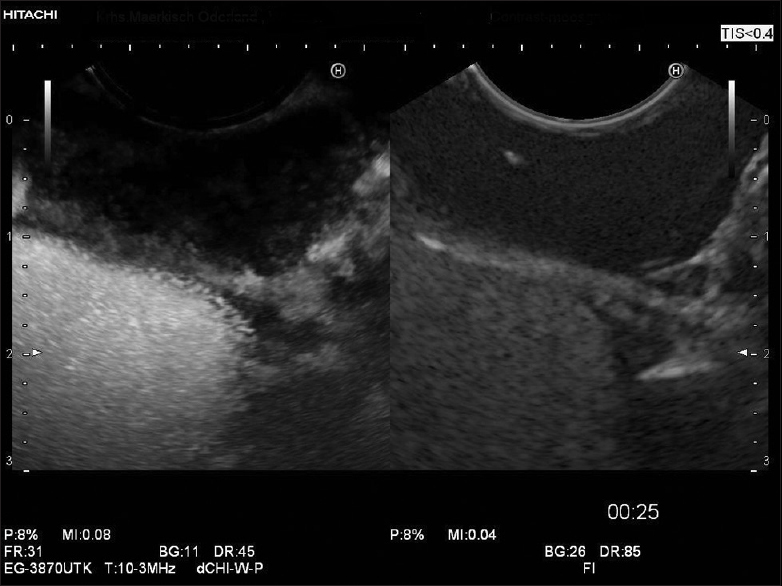 Harmonic contrast-enhanced endosonography may better identify the targeted area in the lesions by avoiding the inside necrosis and the vessels of fibrosis, so it can guide the fine-needle aspiration. Both techniques are complementary, not competitive, and they can be done in the same session. The combined technique is simple, safe, and requires only a few minutes with minimal extra costs compared to standard fine-needle aspiration. It minimally increases the diagnostic rate, and it permits the decrease of the number of passes. However, we will know its real clinical impact only in the future and whether it will be incorporated into the lesion assessment process. Endoscopic ultrasound (EUS) has become as one the best diagnostic and therapeutic methods for the management of several intraintestinal and extraintestinal diseases, among them to highlight pancreaticobiliary indications, mediastinal evaluation, and the analysis of gastrointestinal lesions. Over the years, there has been an enormous evolution in the systems available to perform EUS. 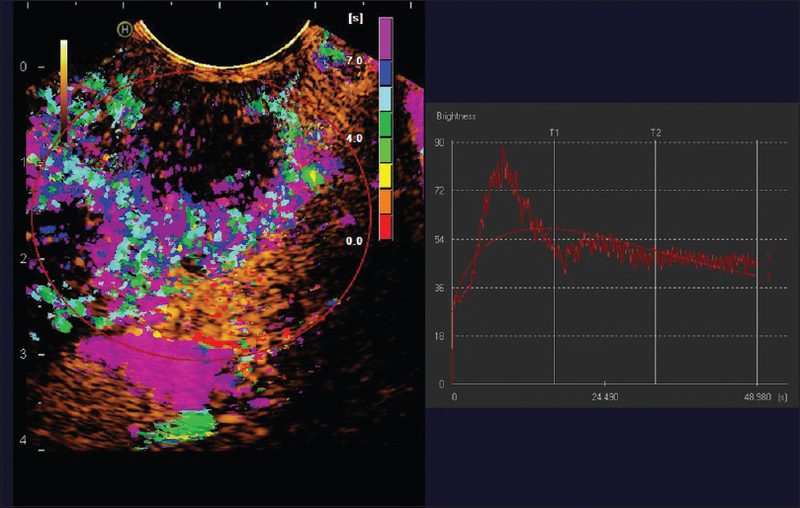 Newer processors and echoendoscopes are available nowadays, with the ability to perform new imaging analysis, such as elastography and contrast enhancement. In the present article, we will review which systems are available nowadays, focusing also in the technical advances associated. Endobronchial ultrasound (EBUS) has gained importance for mediastinal lymph node staging. Contrast-enhanced EBUS is so far not a discussed technique including contrast-enhanced high mechanical index (MI)-EBUS and potentially contrast-enhanced low MI-EBUS. Possible use could include characterization of mediastinal lymph nodes for better selection of biopsies, differential diagnosis of the primary tumor, and evaluation of thrombosis or tumor in vein infiltration. Background and Objectives: Imaging of the pancreas for detection of neuroendocrine tumors is indicated as surveillance in multiple endocrine neoplasia type 1 (MEN1) or if typical clinical symptoms combined with hormone production raise the suspicion of a neuroendocrine tumor. Endoscopic ultrasound (EUS) is considered the best imaging modality to detect small pancreatic tumors. However, little is known about how small pancreatic neuroendocrine tumors (pNETs) present on EUS. Patients and Methods: In this multicenter study, we retrospectively analyzed the endosonographic characteristics of small pNETs which had been detected due to typical biochemistry and clinical symptoms or during surveillance of MEN 1. Only small pancreatic tumors ≤15 mm with histological confirmation as pNET were included. 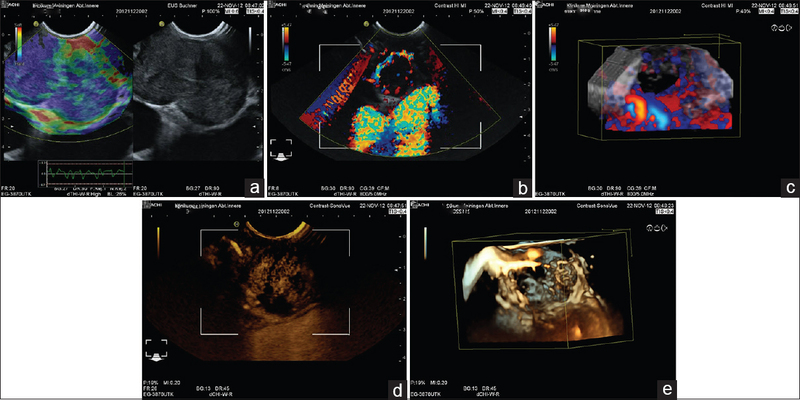 B-mode and contrast-enhanced ultrasound- and EUS patterns were analyzed. Results: Among 32 patients with histologically proven small pNETs, 7 patients had known MEN1. Among the pNETs, 20 were insulinoma, 2 gastrinoma, 3 glucagonoma, 6 nonfunctional in MEN1, and one PPoma. 94% of the pNET appeared hypoechogenic, only 1 isoechogenic and 1 hyperechogenic. After contrast injection, 90% of the pNETS showed hyperenhancement compared to the surrounding pancreatic parenchyma. Conclusion: The high spatial resolution of EUS allows detection and even cytological confirmation of pNET <7 mm diameter. Hypoechogenicity in B-mode and hyperenhancement after injection of contrast agents are endosonographic characteristics of small pNET and present in >90% of pNETs. Background and Objectives: Gastrointestinal stromal tumors (GISTs) represent the largest group of subepithelial tumors (SET) of the upper gastrointestinal (GI) tract. They may show malignant behavior, in contrast to other SET. 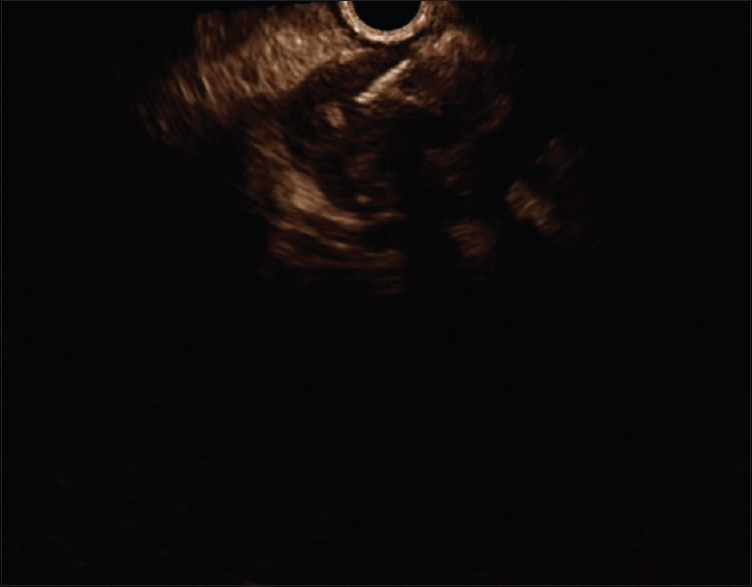 Endoscopic ultrasound (EUS) is frequently used to characterize SET. With the introduction of contrast-enhanced ultrasound (CEUS) into EUS (CE-EUS), distinct enhancement patterns can be detected. In the presented study, the characteristic features of CE-EUS in GIST are analyzed and compared with those of other SET. Materials and Methods: Consecutive patients from four centers with SET of the upper and middle GI tract were included and received endoscopic or transcutaneous CEUS. The results were compared with EUS-guided tissue acquisition, forceps biopsy, or surgical resection. Results: Forty-two out of 62 (68%) patients had SET of the stomach, 17/62 (27%) of the small intestine, 2/62 (3%) of the esophagus, and 1/62 (2%) extraintestinal. Eighty-one percent underwent surgery. Leiomyoma was found in 5/62 (8%) and GIST in 57/62 patients (92%). Thirty-nine out of 57 (68%) patients had GIST lesions in the stomach, 17/57 (30%) had GIST of the small intestine, and 1/57 (2%) patients had extraintestinal GISTs. GIST size was 62.6 ± 42.1 (16–200) mm. Hyperenhancement had a sensitivity, specificity, positive predictive value, negative predictive value, and accuracy of 98%, 100%, 100%, 93%, and 98% for the diagnosis of GIST. Fifty out of 57 patients with GIST (88%) showed avascular areas in the center of the lesions. Conclusion: CE-EUS and CEUS show hyperenhancement and avascular areas in a high percentage of GIST but not in leiomyoma. Thus, GIST and leiomyoma can be discriminated accurately. Cystic dystrophy of the duodenal wall (CDDW) is a serious but uncommon complication of heterotopic pancreatic tissue characterized by increased duodenal wall thickness associated with intraparietal cystic lesions. It is mainly observed in middle-aged male patients with alcoholic chronic pancreatitis. Clinical symptoms are usually nonspecific and it is important to take them into account in patients with the abovementioned history. 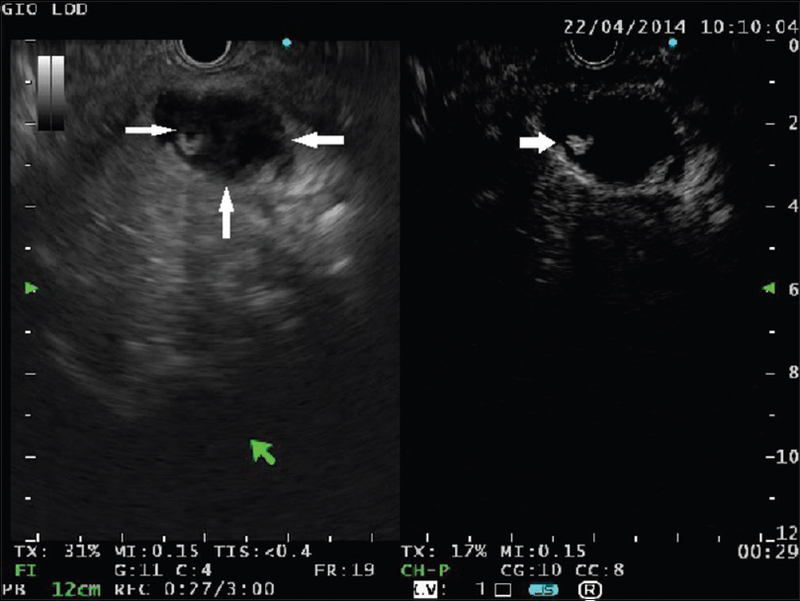 Imaging techniques have been useful for diagnosis, especially endoscopic ultrasound (EUS), to visualize cystic lesions in the wall. There is some controversy regarding treatment, because although good results have been obtained with surgical techniques, the recent emergence of EUS-guided drainages has also achieved acceptable results and they are suggested as a good alternative to traditional surgery. Following is our experience in the diagnosis and treatment of four patients with CDDWs; all of whom had a history of alcoholism and smoking, and were studied due to clinical signs of abdominal pain and vomiting. EUS was particularly useful in reaching the final diagnosis.